The Commissioner of the General Land Office, commonly known as the Land Commissioner, has broad powers over relatively random portions of state government. Public land (including beaches), education and veterans’ affairs round out their duties. It is a job that requires both political acumen and considerable policy knowledge. In these categories, the choice that is best for Texas is clear. 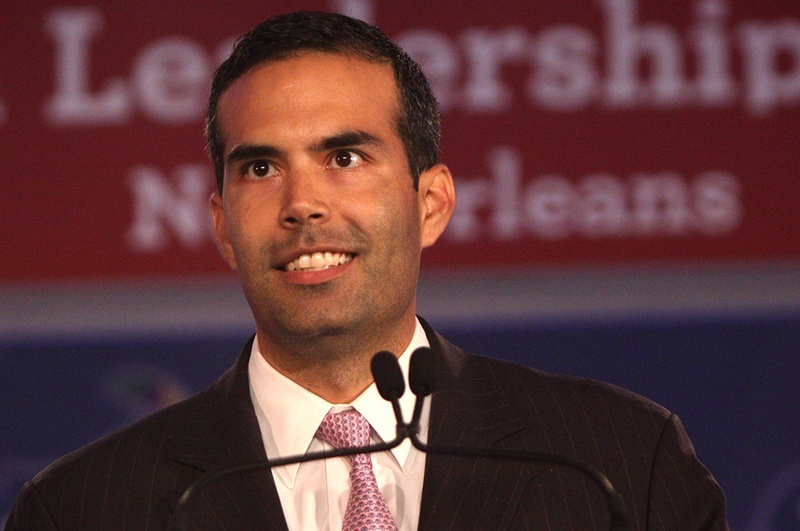 Republican candidate George P. Bush is about far, far more than a continuation of a political dynasty. The son of former Florida Governor Jeb Bush and nephew of former President George W. Bush, he has a lot to live up to in arguably the most visible conservative political dynasty in the country. But unlike the partisan excesses pushed by his family members, Bush is pragmatic in his outlook. And standing in stark contrast to his uncle, the last member of his family in Texas politics, Bush has demonstrated considerable mastery of the issues at hand for the Land Commissioner office. A former teacher, Bush has a special place to understand the plight of many within the public school system. Overseeing the moneys that would go to many schools, Bush has no power to change standards or increase funding, but he does have the capacity to ensure that funds are spent efficiently and responsibly. We have every reason to think he would capably do this. On veterans, Bush pushes a plan that is both realistic considering the powers of his prospective office and has the capacity to greatly improve the lives of many veterans affected by debilitating conditions such as post traumatic stress disorder. It’s relatively simple; he would publicize and tout the myriad programs Texas already has in place to assist veterans, such as low-interest loans and subsidies involving healthcare. For all our reputation of being a no-frills state when it comes to social welfare programs, Texas already ostensibly does a great deal regarding veterans; we just do a lousy job advertising that fact. Bush would change that. Most importantly, regarding public land, Bush would push for programs that respect the integrity of our parks and reserves while still allowing the responsible exploitation of the resources underneath the ground. It’s a win-win situation. Contrary to many in his party, Bush is an environmentalist. One of the mantras of his campaign is that there is no “false choice between protecting the environment…and promoting job creation.” He acknowledges the reality of climate change, as well as the terrifying phenomenon of rising sea levels. Texas would do well to have such a pragmatic steward of both positions in office. The former Mayor of El Paso, John Cook, is also running as a Democrat. He is a passionate candidate, but his criticisms are far more pointed at the incumbent Land Commissioner, Jerry Patterson, than they are directed toward Bush. To put it bluntly, Bush commands a mastery of the issues regarding the office that Cook simply does not possess. Despite an impressive resume, he has largely dropped the ball on a serious campaign ahead of the general election. Educated by the best institutions of higher learning in the state, Rice University and UT Law, Bush is obviously smart. But he is also a passionate and comprising politician as well. Such qualities make him stand apart in Texas politics to most of his compatriots in the Republican Party, much less his family. Texas voters have an easy decision to make, so as long as they do not blame one candidate for the sins of his father. Accordingly, this board endorses George P. Bush for Land Commissioner. Noah M. Horwitz dissented from this editorial, and wrote his own addendum. My colleague makes some good points in his editorial that urges support of George P. Bush for Land Commissioner. He is, indeed, a pragmatist compared to those within his party, believing in things such as climate change and the need to allocate resources protecting both schoolchildren and veterans from the perils of austerity. Such beliefs were also somewhat evident back in February, when I joined with my colleagues in unanimously selecting Bush as the best choice within the Republican primary. But the points just don’t hold water when Bush is challenged by the reasonableness of John Cook, a Democrat vying for the position. While it is true, for example, that Bush recognizes the very real danger presented by climate change, he is still willfully ignorant regarding the source of these dangers. Bush still officially doubts the idea that people are the main source of climate change, despite the fact that 97% of pertinent climate scientists agree on that point. Why? The reason is that, like nearly all of the high profile figures within his political party, he has to mollify a zealous, extreme and anti-intellectual faction that dominates primary elections. What good is a steward of public lands if he does not acknowledge the driving source behind the greatest danger to them? Recognizing that climate change exists merely means you are not delusional as to present realities, but if you think humans are not causing it, there is little you can do besides wring your hands and lament the conundrum while you refill the oversized gas tank in your hummer. He is without any type of actual strategy to deal with the rising sea levels that threaten to eviscerate our beaches. Speaking of beaches, Bush supports an abominable ruling of the Texas Supreme Court that guts the state’s venerated Open Beaches Act. While the law mandates that all of Texas’ beaches are state parks, to be used by anyone, the high court has adulterated the state constitution to fit their bizarre interpretation that an exception may be carved out if a property owner’s previous non-beachfront land becomes the “first in line,” so to speak, as a result of erosion. With the state’s rapidly eroding coastline (which, not to keep beating the same point, is not a result of mysterious circumstances, but the obvious byproduct of the rising sea levels and increased tropical activity that come with man-made climate change), this terrible ruling will affect more and more parcels of land in the forthcoming decades. Bush supports this misguided ruling. On his watch, Texas beaches could easily find themselves like the northeast, where the rich and powerful monopolize all the good locations, hogging these pristine landscapes from the public. Now, Bush can just go to his family’s compound in Kennebunkport, Maine. But for most honest Texans, the state beaches are all we got. John Cook opposes this silly ruling, and recognizes the very real threat that man-made climate change poses to the state’s beaches and other public land. With years of experience as both the Mayor of El Paso and a member on the El Paso City Council, Cook is not a political novice. Since my colleagues evidently values policy acumen so highly, it should be worth mentioning that Cook also knows the nitty-gritty intricacies that this office faces remarkably well. Cook doesn’t have Yankee family money underwriting his travels around the state, so he may not be quite so ubiquitous of a presence around our humongous state this general election. But that just should not be important. Be it the editorial board of this publication, or those of just about any newspaper in the state, it appears everyone has lost sight of their priorities this election. Obsequious adulation is directed toward Bush for his passion, campaign skills and the size of his war-chest, as if those are things any articulate person would prioritize in an endorsement. We’re better than that, we’re better than the sophomoric illogic used in picking the student council candidate with the prettiest posters; at least, I think we are. What far, far too few people have done is actually look at the policy disagreements between the two, albeit well-qualified, candidates. Bush ascribes to the fairy tale that climate change is not caused or affect by people, whereas Cook thinks we should be vigilant in trying to stop it. Bush thinks the One-Percent should be entitled to steal state parks along the ocean from the average Texan to ensure their million-dollar second homes are protected from eminent domain; Cook thinks this 55 year-old law is valid and should remain enforced. Most importantly, Bush simply will go through the motions of this office for four years while he plots his campaign for Governor, as everyone in this state fully expects him to do. Cook actually wants to get into the weeds and leave his mark on the General Land Office. I don’t punish Bush for the sins of his father, or his uncle. I punish him for his own. Respectfully, but sternly, I urge you to disregard the majority’s opinion and vote for John Cook for Land Commissioner. The Texas Tribune published a fairly detailed interview with George P. Bush, the Republican candidate for Land Commissioner, yesterday. Most notable among its lengthy contents was that he had a rather pragmatic take on environmental issues, at least in comparison with his compatriots. Bush, of course, is the son of former Governor Jeb Bush (R-FL) and the grandson of former President George H.W. Bush (ergo, the nephew of George W. Bush). Among the many examples of his perceived moderation on these issues is that he admits global warming is occurring, though the Tribune pointedly notes that he stops short of attributing it to humans. However, perhaps more importantly, Bush does note that something needs to be done about global warming and the deleterious effects it will have around the world, specifically in Texas. He laments the coming rise of the sea level, claiming it is something that “keeps him up at night.” This is a very different line of reason from most other Republicans who concede global warming occurs but still claim man does not affect it. Those arguments typically make a point of saying that people cannot do anything to affect global warming, so we need not alter our environmental policies. Furthermore, Bush countered some of his colleagues by stating that he would not want to abolish the Environmental Protection Agency, though he definitely strongly disagrees with most of their recent mandates. I, for one, am not impressed by this concession. Is it supposed to be impressive? Rick Perry claimed the EPA need not be abolished in the midst of his epic debate failure a few years back. However, Bush appeared content –even tepidly supportive– with the reality that the EPA and other major players are trying to transition the consumption of energy away from fossil fuels such as coal, and onto cleaner sources such as natural gas, before moving onto full renewable sources. In the full interview –which you can read here— Bush went on at length about how it is a good thing to wean the State off of oil (yeah, you read that right) and mitigate emissions of carbon dioxide. He even spoke quite favorably of Garry Mauro, a Democrat who was Land Commissioner for the four terms between 1983 and 1999, for similar initiatives. Mauro, for his part, said he was “shocked” upon learning of the compliments and the pragmatism. Obviously, Bush’s views on many environmental topics, namely a support of increased fracking, are dangerous and short-sighted. But the shift to a more reality-based approach on these issues is very, very good news. Anyone with a half a brain can tell that Bush has ambitions for higher office, namely Governor either four or eight years down the line. In my opinion, Texas will be a swing state by then, so for the Republicans to nominate a partisan zealot at that time would be exceedingly unwise. Historical conservatism, the type Bush’s great-grandfather (Prescott Bush) who served as a Senator from Connecticut subscribed to, was actually quite receptive to environmental issues. A terrific profile in The Atlantic recently explored this idea, noting how “Earth Day” was once derided by left-wing groups such as SDS as a type of elitism. Hopefully, attention to the earth could one day be restored to the GOP. Additionally, I sincerely hope that otherwise liberal individuals, much like myself, do not continue griping at Bush about him not coming “far enough” on the issue. Make no mistake, any progress on this issue from Republicans is a good thing, and should rightly be celebrated. Hopefully we’ll be celebrating for many years to come…right from our beachfront properties in downtown Houston. Public Policy Poling has another poll out today that examines the horse-race in the Statewide elections, the first of its kind from PPP following last month’s primary. In short, the Democrats have a lot of work to do, with huge deficits for Wendy Davis, Leticia Van de Putte, David Alameel and John Cook, among others. Just from a cursory review of the recent pollsters and evaluations, I am prepared to say that, in some ways, 2014 will be a worse year for Texas Democrats than 2010 was, ceteris paribus. The last time PPP created one of those polls, it put State Senator Wendy Davis (D-Tarrant County), the Democratic nominee for Governor, 15 points down against Attorney General Greg Abbott, the Republican candidate (ABBOTT 51, DAVIS 37). In the five months since, a whole lot has happened of consequence. First, there was the whole “Trailergate” thing, then deeper questions about the competence of Davis’ campaign. However, starting about six weeks ago, a funny thing happened. Abbott began stumbling unprovoked, first with the Ted Nugent scandal then with a flareup over Equal Pay. In recent days, the controversy has centered on the fact that Abbott’s education plan not only aims to extend standardized testing to four-year olds, but also relied upon the commentary of a Charles Murray, once cited as a white supremacist by the Southern Poverty Law Center. Seriously. Click here to read more poll results (spoiler: they’re all bad)!